Thanks to Lindi for the find. The film will also be honored with the Hollywood Screenwriter Award. 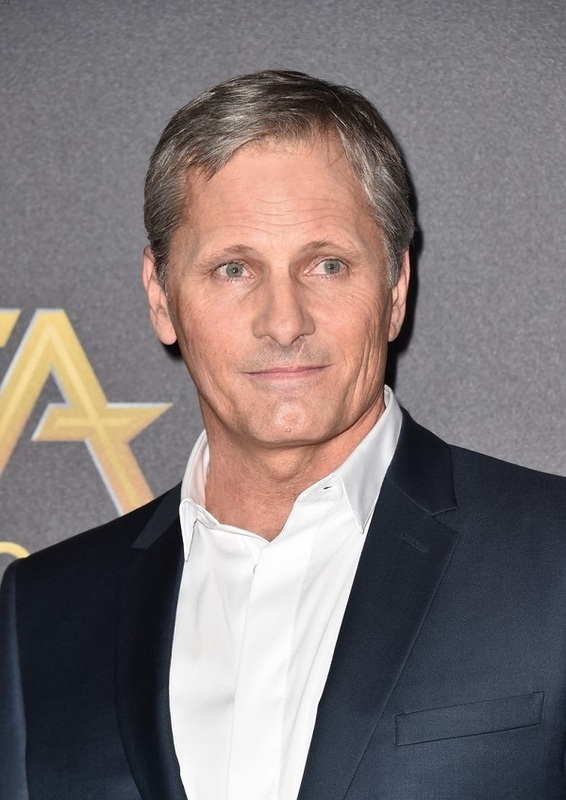 Green Book, starring Viggo Mortensen, Mahershala Ali and Linda Cardellini, has been selected to receive the Hollywood Ensemble Award at the 22nd annual Hollywood Film Awards, to be held Nov. 4 at the Beverly Hills Hotel. Its screenplay, written by Peter Farrelly, who also directed, along with Nick Vallelonga and Brian Currie, will be recognized with the Hollywood Screenwriter Award. The film recounts the friendship that developed between musician Don Shirley (Ali) and driver Tony Lip (Mortensen) as they drove through the American South in the early '60s. Winner of the People's Choice Award at this year's Toronto Film Festival, the film was produced by Participant Media and DreamWorks Pictures and will be released by Universal on Nov. 21. Peter Farrelly's 1960s-set biographical drama Green Book has cleared a major hurdle in this year's awards race, emerging from the Toronto International Film Festival with the prestigious People's Choice Award — an accolade that often precedes placement among the Academy Awards' Best Picture nominees. The film, which follows classical pianist Don Shirley (Mahershala Ali) and his New York City-born driver Tony Lip (Viggo Mortensen) as they tour the American South, beat out competition for the otherwise non-competitive festival's attendee-driven prize from critically lauded titles including Alfonso Cuarón's Roma, Bradley Cooper's A Star Is Born, and Barry Jenkins' If Beale Street Could Talk. 2018 marks the first year in TIFF history that voting for the the People's Choice Award took place entirely online, with the festival also opening the contest to everyone with access to its website — including non-patrons. This could have skewed voting totals in favor of celebrity-driven projects like the Lady Gaga-starring A Star Is Born (which is also seen as a major Oscar contender thanks to enthusiastic reception on the festival circuit thus far), though Green Book's victory speaks to its crowd-pleasing potential ahead of what's shaping up to be a contentious awards battle. With the People's Choice Award in hand, Green Book now occupies pole position as the three-pronged, Oscar-priming arm of the fall festival circuit — Telluride, Venice, and Toronto — concludes. Since 2008, nine of the last 10 People's Choice Award winners, including 12 Years a Slave and Slumdog Millionaire, have gone on to win or be nominated for the Academy's Best Picture statuette, the only exception being Nadine Labaki's 2011's drama Where Do We Go Now? Last year, Martin McDonagh's Three Billboards Outside Ebbing, Missouri began its Oscar bid with a TIFF People's Choice Award victory before scoring seven total Academy Award nominations. It would go on to win two: for lead actress Frances McDormand and supporting actor Sam Rockwell. Reigning Best Picture The Shape of Water did not place among the top three finalists for the People's Choice Award. For now, Green Book will have to translate its support out of Toronto into further precursor affection as it faces the next round of nationwide critics in anticipation of its Nov. 21 theatrical bow. With near-universal acclaim from festival press, it's likely that year-end critics' groups and guilds already have their eyes on the project for their upcoming awards ceremonies. Mortensen and Ali received particular praise from film journalists following Green Book's Sept. 11 world premiere at TIFF, meaning acting nominations could be on the horizon for the onscreen pair. © EW. Images © Universal.